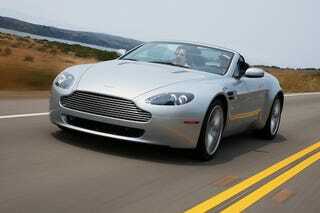 The lucky buggers over at Popular Mechanics recently got their hands on the revised 2009 Aston Martin V8 Vantage. With a larger 4.8-liter, 420 HP engine and modified suspension, they find the $119,500 British sports car to be more refined, more focused, faster, and a welcome antidote to the "stuffy" DB9...if still not quite up there with the Porsche 911. Should you have the means, they highly recommend picking one up, as long as it comes with the optional Sport Pack.